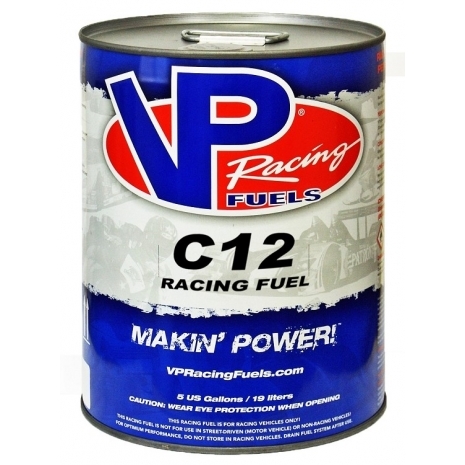 C12 Racing Fuel By VP Has Set The Standard in the racing world for performance and consistency. 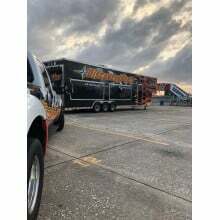 Free Pick Up at DiscoveryParts @ AMP or Delivery By Discoveryparts Trackside Support Team. Call 706-344-1235 and place your order. 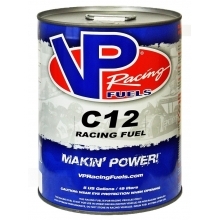 C12 was the first fuel produced by VP Racing 29 years ago. As late as 1998, it was the fuel of choice for 75% of VP’s customers. While VP’s introduction of more specialty fuels led to a drop in use of C12, it is still favored by 50% of VP’s customers today. 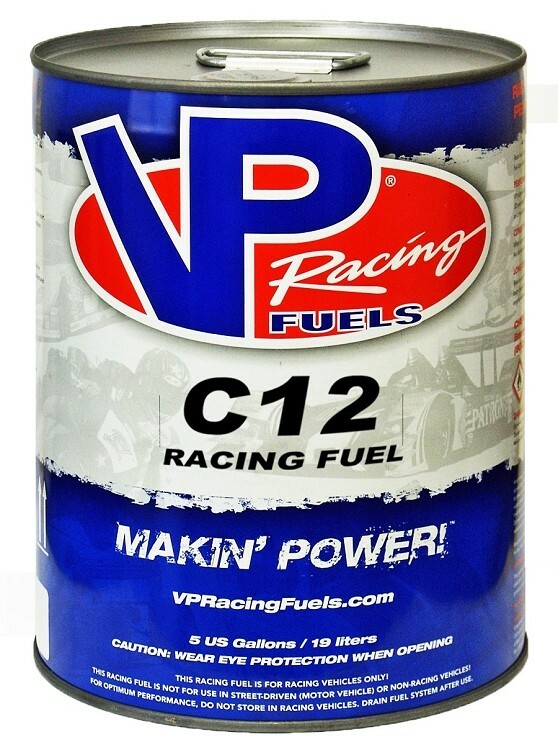 C12 was the first racing fuel to prove that burning speed, vaporization and BTU value were as important as octane. This allowed C12 to be the first racing fuel to make more power than other fuels that just concentrated on octane. C12 has been successful in a wide range of applications, including circle track (high and low compression), drag racing, off-road, desert, motocross, snowmobiles, jet skis and road racing. It’s still the best fuel across the widest range of applications of any fuel on the market. C12’s popularity has been maintained over the years due to ongoing research efforts and continual improvements. The formula was last changed in 1998 and will not be changed again. In its present form, C12 still is one of the most effective fuels on the market for resisting detonation on the track and delivering power gains at high RPMs. 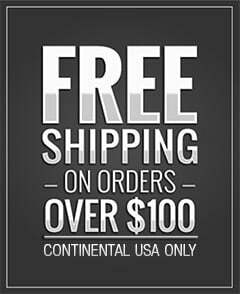 buy the best equipment for your application. The same goes for fuel and it’s hard to go wrong with C12 for most applications. 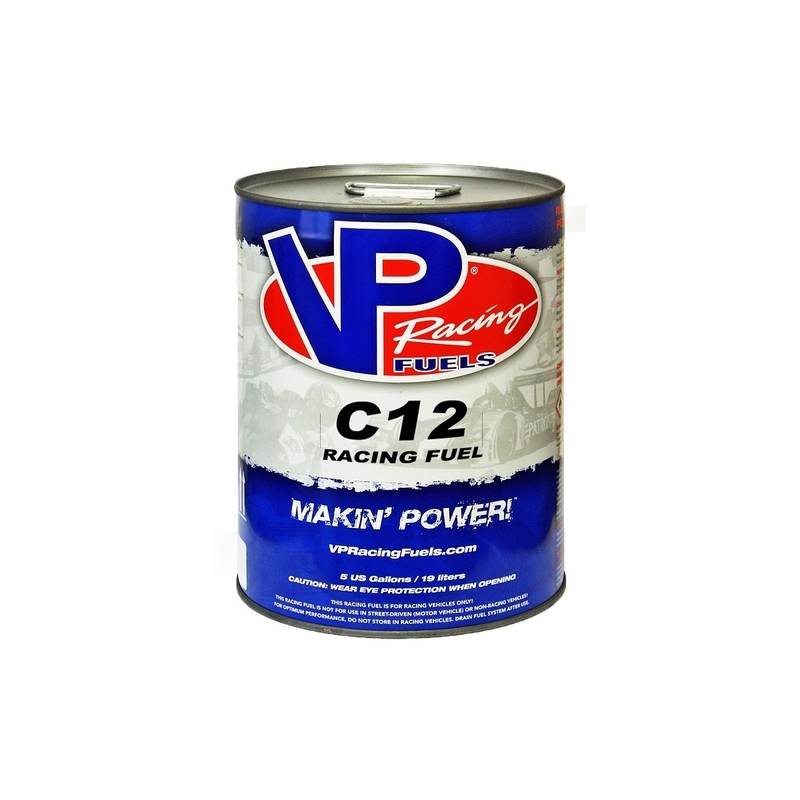 The fact is, if there’s anything on the market that will outperform C12 for your application, VP Racing probably makes it. To store C12, keep it in a tightly sealed container. It will not separate as its components are solvents of one another. Do not expose the fuel to direct sunlight as the ultraviolet rays will oxidize the lead.